On the front of the router you can see the glossy finish,you have the Tp-LINK logo along with lights to indicate the status of 4G and various router indications.Dual band Wi-Fi networks, with maximum speeds of up to 300Mbps on the 2.4GHz band and 433Mbps on the 5GHz band.In terms of the speed and range of the router,you won’t face any issues as it is a well built device with all the new components. 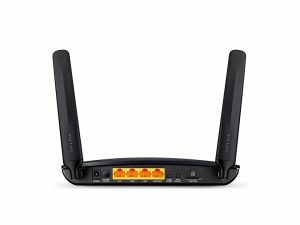 At the back of the router you have 4 lan ports and you can also use the lan port 4 as a wan/lan,you also have a 4G sim slot a wps/reset and a power button. 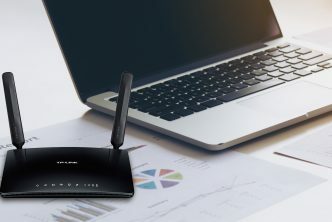 If you have a modem from your isp you can connect the cable from the modem to the lan port 4 to use the TP-LINK as a router.You dont need to do any configuration just insert the sim and its ready to use. HERE IS THE UNBOXING VIDEO OF TP-LINK Archer MR200 AC750 Wireless Dual Band 4G LTE Router. ►Setting up the TP-LINK router is very easy. ►You need to insert the 4g enabled sim card in your router and then you need to connect device on the router. ►Once you connect a device on the router simply open this website www.tplinkwifi.net . ►You will see it will ask you to login,so enter the username – admin and password – admin. ►Once you have the TP-LINK page opened up simply follow the steps and setup the router. ►If you still face issues watch the following video and you can setup the router. How To Update Firmware Of MR200 ? 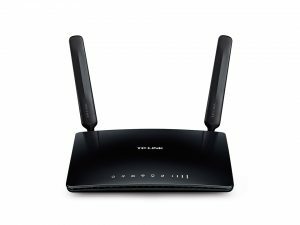 How to setup TP-Link AC750 router? Thank you so much for such a great blog,its really helpful as you gave us the unboxing video and setup video also. It looks good what regions are these router available in? I think is available on amazon and you can get it from electronics stores everywhere. Looks to be a good device.